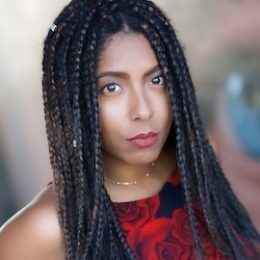 Kym Allen is a writer, producer, SAG-AFTRA actor, compelling storyteller, vintage treasure hunter, and natural connector of people. Kym is a producer, writer, and researcher with ART NOT WAR, working on election fraud, CA Prop 10 fair housing, mass incarceration, and the 2018 GOTV project. Fluent in Spanish, Kym majored in Communication Studies at Loyola Marymount University. Kym is also committed to building community. Most recently, she co-produced and performed in “Echoes”, a live theater show called made up of original pieces all written and performed by women. After four sold out shows, the women of Echoes were able to make a sizable donation to Planned Parenthood. Through this community of powerful women, Kym plans to continue to create spaces where women, especially black women, can freely tell their stories, expanding upon the representations of black women in media, and challenging perceptions of blackness and femininity.